29 Famous Bossa Nova numbers. 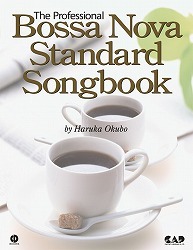 Including scores with lyrics (119 pages, in Portuguese), and a CD. CD is recorded with flute, guitar and drums as Samples.